Are you a Nurse Bullying Target…or a Snowflake? We had to quickly use the word “snowflake”, because it is so overused and abused that it won’t mean anything within the week—it already refers to anyone with a different opinion than you do, as opposed to referring to someone easily hurt. Nurse Bullying doesn’t necessarily take place when someone gets offended or disagrees with your beliefs, no matter how deeply-rooted they are. Sometimes a situation is more “clickbaiting” than bullying. You’ve come across fresh news about how bad President Trump is, but it’s actually irrelevant, mildly positive drivel about Ivanka’s clothing line. There’s not really a story there. For example, one of us had to tell a surgeon last week, “I’m putting the patient’s needs in front of your ego.” Without knowing the intricacies of the situation, it’s hard to judge behavior as self-righteous, “caring for the patient”, or a devious power play. Are the personalities involved Type A, or Type Jerk? Bullying can’t objectively be justified by a reasonable code of conduct and has the potential or realized cumulative effect to threaten, undermine, constrain, humiliate or harm another person or their property, reputation, self worth, or ability to perform. Are you a Nurse Bullying Target? “Incivility” and “disrespect” are more gentle synonyms for bullying. Let’s also define lateral and horizontal violence and another half dozen terms so you can tell if you’re being bullied. Actually, that’s not necessary because even when we couldn’t define it (probably around kindergarten), we’ve all felt the injustice of unfair treatment. As busy adults, sometimes we need to slow down to fully comprehend a hostile work situation. It’s more subtle because your clinical instructor or charge nurse isn’t throwing dodge balls at your head and stealing lunch money. Judging by social media, snowflakes walk around continually outraged or offended, even at unintentional slights. However, corporate bullying is an increasingly complex issue and is repeated, health-harming mistreatment ranging from verbal abuse and humiliation to threats, sabotage, and worse. As evidenced by the recent lawsuit concerning an anesthesiologist who insulted her sedated patient, the power of media makes headline news out of events that otherwise only garner interest in the break room or hospital cafeteria. The top five bullying behaviors nursing students experience are nonverbal innuendos, verbal affront, undermining actions, withholding information, and sabotage (setting up to fail). 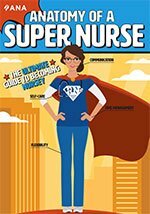 The experience of one loyal FreshRN reader involved a clinical instructor, but nursing students bully each other too through repeated behaviors creating risks to health and safety and intended to control, diminish, or devalue. Nurses eat their young and each other in part because of the stiff hierarchy of healthcare dominated by physicians and administrators. The three of us at Behave Wellness occasionally deal with cases that resemble office politics and sexual ultimatums of the 1960’s like the show Mad Men more than nursing or anesthesia school programs. Professors can also demean students, treat them unfairly, or pressure them students to conform. This results in students feeling traumatized, powerless, and angry. Of course, many of us felt that way because of the stressful nature of nursing school, but faculty behavior can create a culture of bullying through condescending and rude remarks and nonverbal behavior, exerting rank, and being distant, cold, and unavailable during and outside of class. Underreporting of these activities occurs due to lack of confidence in the institution to have a system in place and do something about bullying. Students might not report bullying out of fear of retaliation, looking like a snowflake, or the fear of being the target of more abuse if acting as a whistleblower. Many targets of bullying “self-blame” when in reality they did nothing to provoke the “more than inappropriate” behavior and abuse–it is all the bully! This can prevent targets from taking steps to end the bully’s psychological violence and can spiral into self-destruction. Targets are often individuals who are well liked, highly educated, morally and ethically correct, non-aggressive, and do their job well. Are you being bullied? Bullying takes on many forms and signs and symptoms vary. All of a “sudden” is your performance not good enough? Are you accused of incompetence despite a history of objective excellence? Do you find yourself feeling sick to your stomach the night before work or obsessing about clinicals on your days off? If you answered “yes” to any of these questions, you may be in a bullying situation. Tell us your experiences in the comments, and make sure to check out Kati’s post about responding to bullies. Do you know a target? Can you help? You CAN! You can act as a source of support by being an empathetic and nonjudgmental listener to the target’s reality. Confirming and validating their story is significant. Educating and encouraging targets to document what is happening to them, obtaining other co-workers’ experiences, and referring them to outside sources of advice such as a therapist and/or attorney will assist in the healing process. In healthcare, there is potential for patients to become indirect victims, thus compromising their safety in an already vulnerable state. A bullied employee won’t function at peak physical and mental health and may even be questioning their own ability to perform effectively. It is imperative that you become aware of your surroundings as well as the internal and external resources available to you should you find yourself or another co-worker being a target of this phenomenon. When confronted with this epidemic, your health and well-being need to come first! Maintaining health and wellness is of paramount importance. What do you like to do to unwind and relax? What are you grateful for? Feel free to answer these questions in the comments as a reminder and keep you grounded by providing a sense of comfort. See, you already have your first tool to maintain positivity and prevent and eliminate the self destruction that bullying creates. Not that anyone’s life has been changed through a blog comment, but tell us your story below and we will do our best to help. Nick Angelis, CRNA, MSN, Shannon Spies Ingersoll DNP, CRNA, APRN, RYT, and Gina Chiplonia-Swircek DNP, CRNA, PhD (c) are authors, speakers, nurse anesthetists, and the founders of BEHAVE Wellness (Bullying, Elimination, Health Advocacy, and Violence Education), which provides health and wellness training and strategies to decrease and prevent bullying. BEHAVE training encompasses bully elimination, health and wellness promotion, advocacy for the target, and violence education. Education should be fun–maybe even hilarious. The serious, corruptive topic of workplace bullying is not an exception to this philosophy. Despite such light-hearted mannerisms, BEHAVE Wellness is no joke. We bring personal training from bullying expert Gary Namie, raw data from peer-reviewed research studies we are currently conducting, and years of experience in mentoring students and writing/presenting about the specific bullying and hazing issues they face. On the wellness front, we successfully run businesses combining the wisdom of alternative medicine and holistic care meant to promote emotional healing and health. Subscribe on the right to get our latest news and updates. Thanks for posting Kati–even defining the line between bullying and hypersensitivity takes an individual approach. Wow – that is an interesting and frustrating situation. Sadly, some of the people who become managers/directors will just do whatever majority wants instead of what’s right. Hope that clinical director found a better place to be that valued her for who she was.